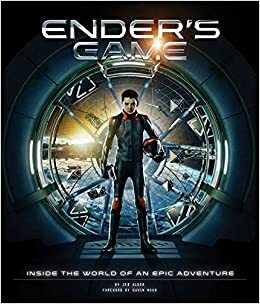 One of my favorite sci-fi books was Card’s Ender’s Game series, which chronicle smart kids who play video games and end up controlling an interstellar war. There is a lot more to the books and well worth your time if you haven’t read any of them, and even the movie was decent. The same basic plot point was part of a movie called The Last Starfighter made many years ago. Now the Pentagon has taken a cue from the idea and is writing its own video game called Operation Overmatch, according to this piece in DEFENSE ONE. The game, which is still in its early development stages, will help train soldiers in warfighting tactics and methods. It includes six types of armored vehicles playable across four different urban levels. When you think about this, it makes a lot of sense, given that many of their recruits are probably FPS fans. The article talks about some of the issues involved in designing a realistic simulation that teaches critical thinking and decision-making skills that could have life and death consequences. That isn’t the only item in the news this past week that got me thinking about the notion of life imitating art. A group of Brazilian researchers has compiled an open-source blockchain-related database of discretionary expenditures and reimbursement by members of their Parliament. The project is called Serenata de Amor, which means love serenade. Brazil passed a mandatory financial disclosure law just a few years ago in an attempt at making their government more transparent and accountable. Like in the States and elsewhere, public servants have accounts that they can get reimbursed for their business expenses, but sometimes this “slush fund” can be abused. The most infamous case of this happened more than 20 years ago in Sweden when a public official was found to be buying groceries on her government credit card account and was dubbed The Toblerone affair. These Brazilian coders got together to try to stop this abuse. The disclosures are searchable and the code has been written in English to facilitate international collaboration. Here is a post on Medium that describes the project and how people can contribute. What does this have to do with life imitating art, you ask? If you have read the book or seen the movie called The Circle, you immediately recognize one of the major plot points about transparency in government. Instead of a blockchain database, people wear body cameras that stream their activities 24×7 and develop their own online audiences that watch their every move. If a Congressperson is continually broadcasting their daily meetings, there are no longer any backroom deals. Sci-fi is always ahead of reality in some interesting ways. A noted example was the first geosynchronous satellites, which were thought of by Arthur Clarke back in 1945, 20 years before they actually became a reality. But it does seem lately things are getting more interesting.